Sunburst Games was established to ensure the legacy of d20 compatible RPGs, such as the 1st edition of the Pathfinder Roleplaying Game can continue on for years to come. We aim to create original, exciting, and inspired products of only the highest quality, with stunning artwork, well-balanced character options, and unforgettable stories. 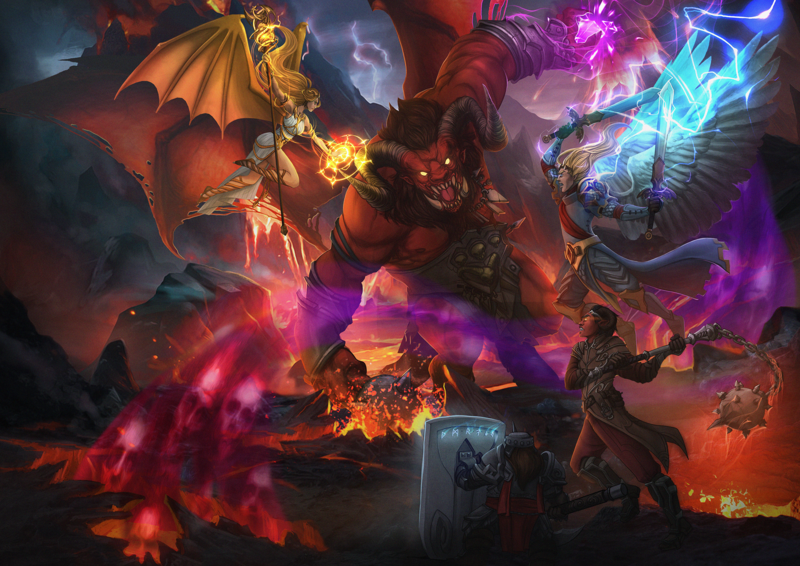 Our first hardcover product, Realms of Atrothia: Primary Expansion, will begin its Kickstarter campaign in February 2019. With a successful launch, Sunburst Games will also release additional products to the line, including Realms of Atrothia: Bestiary, Realms of Atrothia: NPC Codex, and the first full length campaign Realms of Atrothia: Legacies of Corberus, an original adventure taking Players from 1st to 25th level! Sunburst Games is a creation of limitless imagination. The people driving that are artists, authors, dreamers, and innovators who believe in that vision. With over a decade of experience as a GM in the Pathfinder Roleplaying Game using his own unique Campaign Setting, as well as Freelance Author credits for several official products, Kris has earned a reputation for creating exciting game content, and original adventures. Based on that same world 10 years in the making, Realms of Atrothia is sure to be his best work yet! Rigrena's interest for games began when she made her first D&D character at the age of 10, which affected her artistic journey and inspired her to become a digital artist and an illustrator. Following her passions for gaming and art, she has been working in the gaming industry as a concept and 2D artist for almost 6 years. Thanks to her vibrant personality she brings a unique flair to the art she creates. A long time gamer and GM, with a love of anthropology and history, Jessica is the founder of the up and coming gaming blog D20Diaries. Driven by a love of the game and a firm belief in acceptance and inclusion she’s taught people as young as four how to play d20 games, and takes great joy in ensuring there’s content for player’s of all ages, backgrounds, and lifestyles.